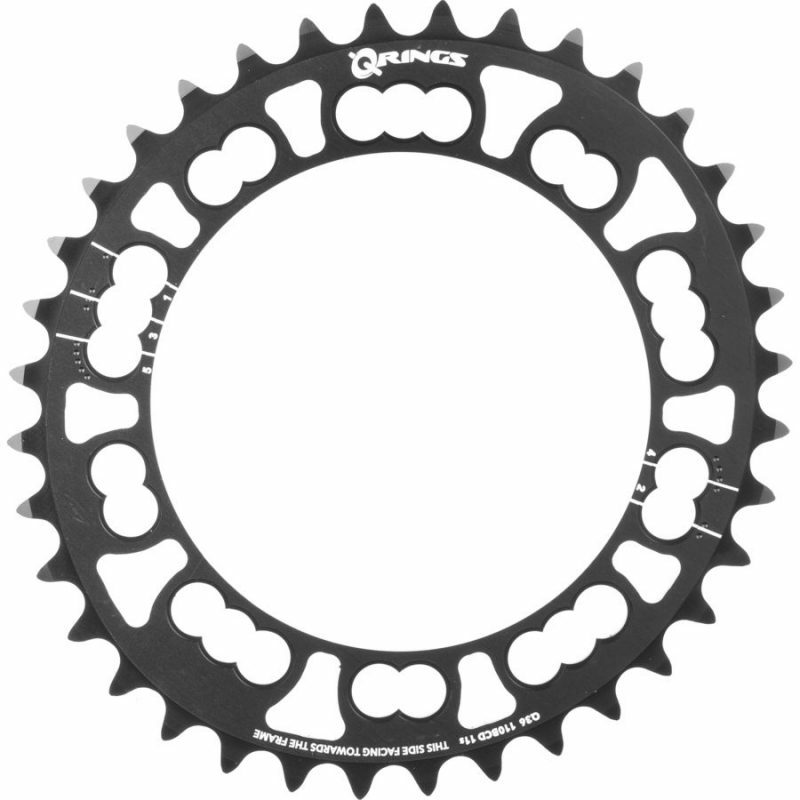 The ROTOR Q-Ring Inner Chainring works perfectly with any ROTOR outer Q-Ring. These rings are designed to be used with ROTOR cranks, including the ROTOR INpower and 2INpower power meters. This Q-Ring features 10% ovality and 5 Optimum Chainring Positions (OCP), which allows you to fine-tune your Q-Ring position for increased performance and a better riding experience. The ROTOR Q-Ring is 100% CNC-machined out of 7075-T6 aluminum alloy, has steel shifting pins and is designed to work with all 5-bolt, 9, 10 and 11 speed groupsets.